Hope you guys had a lovely Easter weekend, what did you get up to? Mine involved a lot of eating! 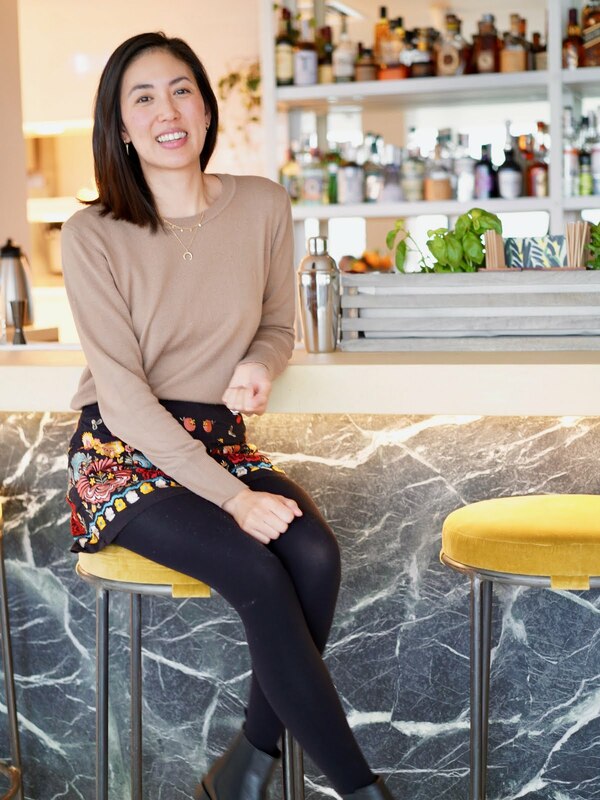 I know my blog has been gathering dust and with it being Spring, I decided to breath some life back into blogging again. 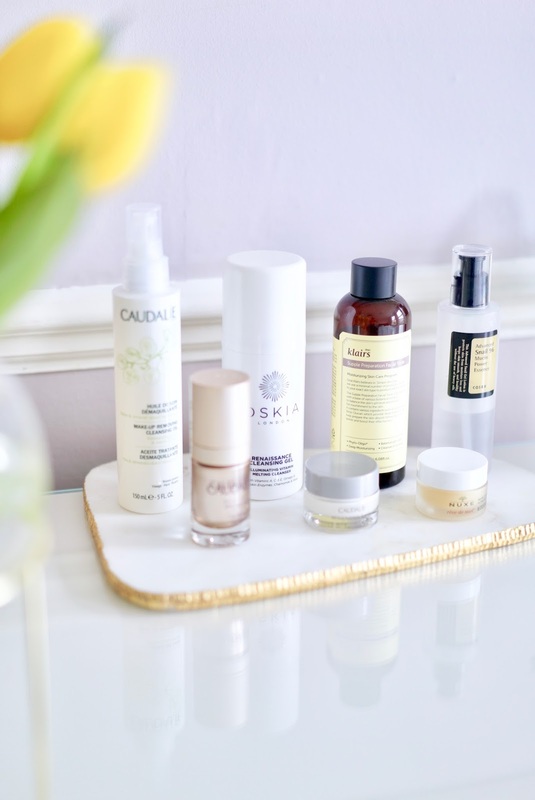 To get back into the groove of things, I wanted to share my current skincare routine. I'm so glad to see the back of Winter as my skin has calmed down from all the dryness! I have combination skin and since I've been pregnant, I haven't suffered from blemishes or breakouts - hallelujah! 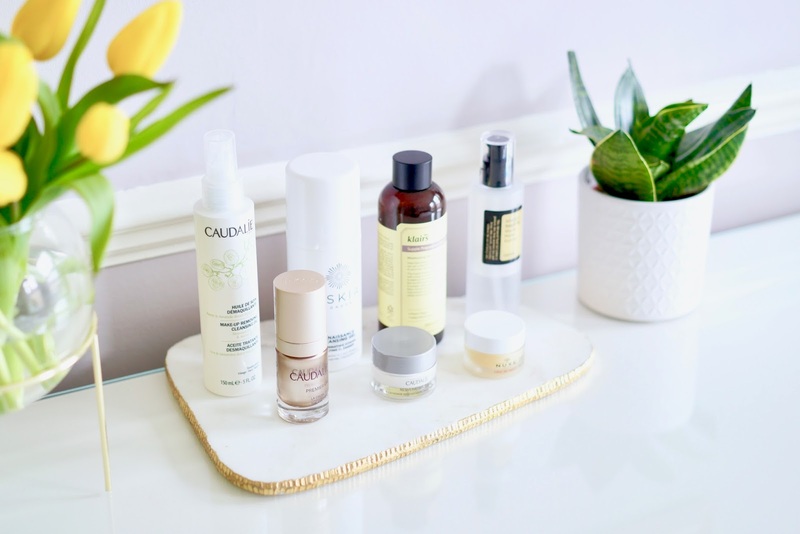 I've been able to concentrate on keeping it hydrated and radiance with the help of these fab products, some are new and some I've been using for a while. Hope you enjoy the post and find if useful if you're looking to invest in some new products. 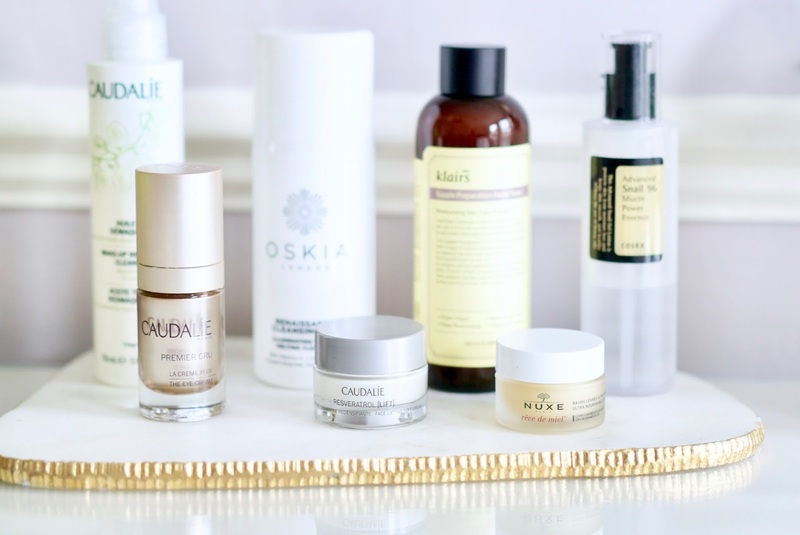 My favourite morning cleanser is the Oskia Renaissance Cleansing Gel. Yep this product is beautiful and I cry every time I have to repurchase as it's not cheap but ladies it feels heavenly. It's good for your skin - packed with pumpkin enzyme to remove dirt and grime, vitamin A to help improve skin surface, vitamin C & E to protect against free radicals. This is a cult favourite for a reason! I massage 2 pumps of the gorgeous smelling orange gel onto dry skin and then add water to cleanse my face. It leaves such a soft, glowy finish when you wash it off. Have you used it, are you a fan too? After my morning cleanse, I pat my face with a few drops of the Klairs Supple Preparation Facial Toner. I brought this last year when I was in Seoul and I have not stop using it since, it's one of the best selling K-beauty products on the market. So what's all the fuss about? It's gentle and calming on the skin, balances out your skin PH levels and gives it a burst of hydration. This product was a godsend when my skin was super dry during the Winter. The essential oil scent really wakes up your skin too! They've also just released a unscented version too and it's also available to buy from Amazon, so handy! Another K-beauty fave is the Cosrx Advanced Snail 96 Mucin Power Essence, which I also first discovered in Seoul. Yes it sounds weird right - snail essence but this stuff really works! K-beauty love their essence, which is a step before your moisturiser to amp your skincare routine and target any skincare concerns. This is a great product as the 96% snail secretion is ultra hydrating, replenishes dry and damaged skin and great for anti - ageing. It has a slimey texture and bonds on your fingers but blends quickly onto your skin and doesn't feel weird or sticky. This has help keep my skin texture even and fade pigmentation. You can also buy Cosrx on Look Fantastic, with free shipping and currently 20% off! If I've been wearing makeup, my go to is to use a cleansing oil. I used to use The Body Shop Camomile oil but after using the Caudalie Cleansing Oil* it makes such a difference. First off it smells lovely with the sweet almond oil scent. The consistency and texture also feels more pleasant to use on the skin and also shifts waterproof makeup, which is a must for me. Pump some of the oil onto dry skin to breakdown makeup, grim etc and then add water or use a damp cloth to wash off. It doesn't clog up your skin or leave it feeling greasy. I'm obsessed with using eye creams and thankfully in my 30's I don't have any lines or wrinkles! This Premier Cru Eye Cream* is amazing for keeping your eye area soft and hydrated and blends in really nicely. It's not cheap but it really makes a difference to the skin around your eyes keeping it smooth and feeling firmer. This range is packed full of natural ingredients to really boost and brighten your skin. It contains nourishing avocado butter, caffeine to reduce puffiness and silver and copper pearlisers to add radiance. I used to suffer from dry lips but the Nuxe Reve De Miel balm is amazing. I've repurchased this so many times and have stopped using any other lip balm. It feels nourishing on the lips, not greasy and you don't have that feeling of constanly licking your lips or the need to top up again in a few minutes. It contains honey, plant oils, shea butter and grapefruit essence - no nasties like petroleum. There's currently a 1/3 off Nuxe products, now £6.66 - good time to stock up! Caudalie has a great offer on at the moment, online customers will get a full sized Gentle Buffing Cream (worth £20) when you spend £50 using the code SPRING18 (from April 2nd - April 26th) Happy shopping! 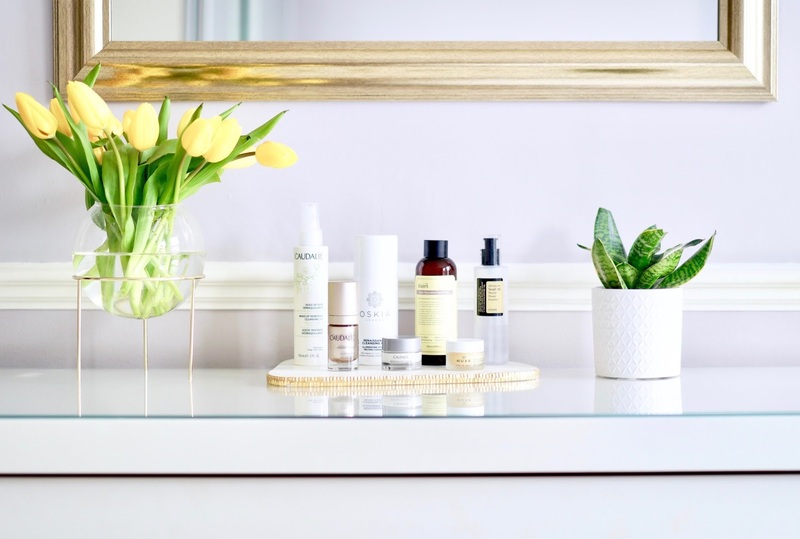 I hope you enjoyed this skincare post, I would love to know if you've used any of these products or what's on your bathroom shelf? Do you have combination skin, what products do you swear by? Thanks so much for reading. What are your go to skincare products?